CaTyra is the President/CEO of Polland Enterprises, LLC. Her company offers writing and editing solutions such as developmental and copyright editing. CaTyra has worked with several authors to prepare their books for the publishing stage. She loves helping authors polish their work. She is also the author of Professionalism, What’s That. Her hobbies include going to the beach, reading, writing, going to concerts, traveling and shopping. 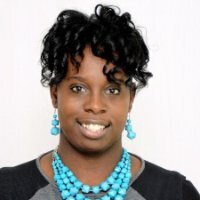 She is also currently the professional development chair for Rochester Young Professionals.